We know when some­thing that seems easy is in fact a job for the ex­perts. Above all, they lis­ten to what is needed. And im­ple­ment so­lu­tions that work with no ifs or buts. Be­cause they do ex­actly what our cus­tomers want them to do. Of course, ques­tions often arise. The good news is: We offer qual­i­fied an­swers. Be­cause, as a cus­tomer, you talk di­rectly to our com­pe­tence cen­ter – in other words, you get through to spe­cial­ists and not just a call cen­ter. Some­times, of course, prox­im­ity is also re­quired. We visit you in per­son. And, in doing so, pro­vide you with sup­port in suc­cess­fully im­ple­ment­ing your pro­ject. 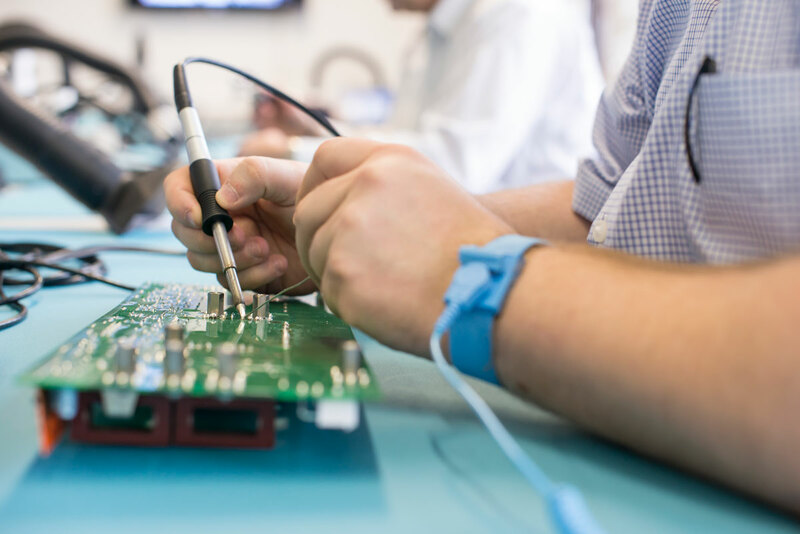 In ad­di­tion Weller of­fers am­bi­tious hob­by­ists the right tools, no mat­ter if a PCB board has to be sol­dered, a cable has to be re­paired, or a craft pro­ject has to be cre­ated. The Weller Con­sumer prod­ucts are the right choice. We are there for you, right across the world. As part of the Amer­i­can Apex Tool Group, we are wher­ever our cus­tomers are: Prac­ti­cally every­where. With 8000 em­ploy­ees in over 30 coun­tries, in sub­sidiaries, sales of­fices and re­pair cen­ters. With ex­per­tise and a pas­sion for ser­vice. And, with our pro­duc­tion ca­pac­i­ties and lo­gis­tics, we are a glob­ally ac­tive group. To do this, we train our cus­tomers and our part­ners: With IPC-com­pli­ant work­shops in our own train­ing cen­ter. Or, al­ter­na­tively, at our cus­tomers sites. Across the world, Weller Uni­ver­sity is syn­ony­mous with qual­ity. We carry out outstanding research and development work. In­no­va­tions, qual­ity, ex­cel­lence: You can rely on this promise. 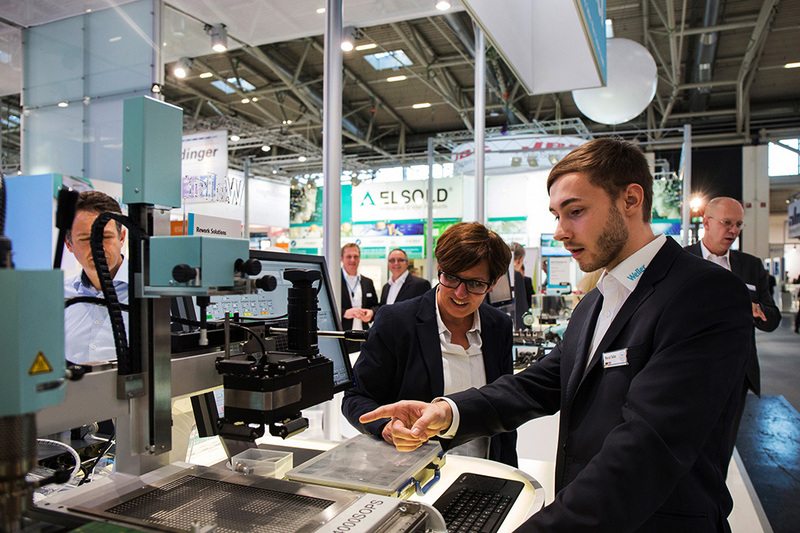 The Weller Re­search and De­vel­op­ment Cen­ter con­sis­tently calls upon the far-reach­ing op­por­tu­ni­ties of­fered by the Apex Tool Group. At the same time, we con­tin­u­ously take in­spi­ra­tion from an ex­tremely wide range of in­dus­trial sec­tors. The lat­est tech­nolo­gies and in­no­v­a­tive pro­ce­dures meet vast ex­pe­ri­ence – and cu­rios­ity. 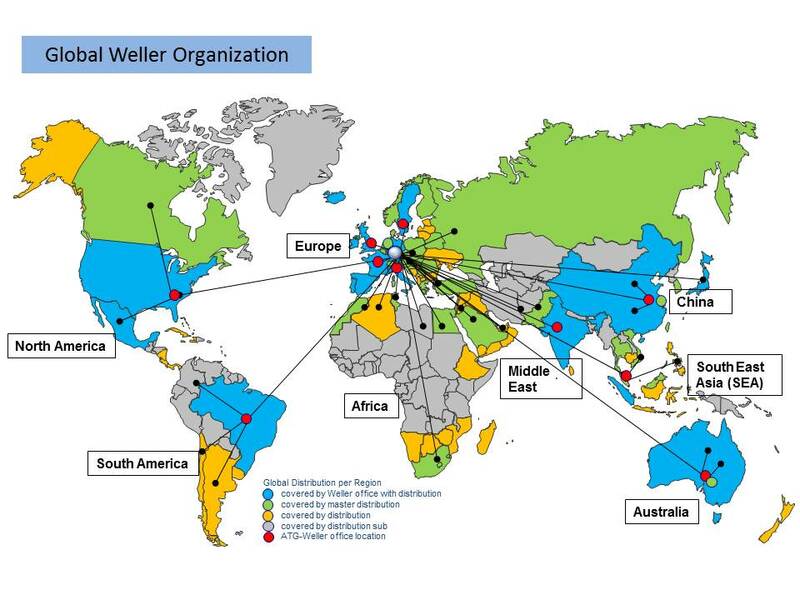 Prac­ti­cal ex­am­ple: Weller sol­der­ing equip­ment can be in­te­grated into the trace­abil­ity process of other global com­pa­nies. For the high­est level of ef­fi­ciency and sus­tained ex­cel­lent re­sults.